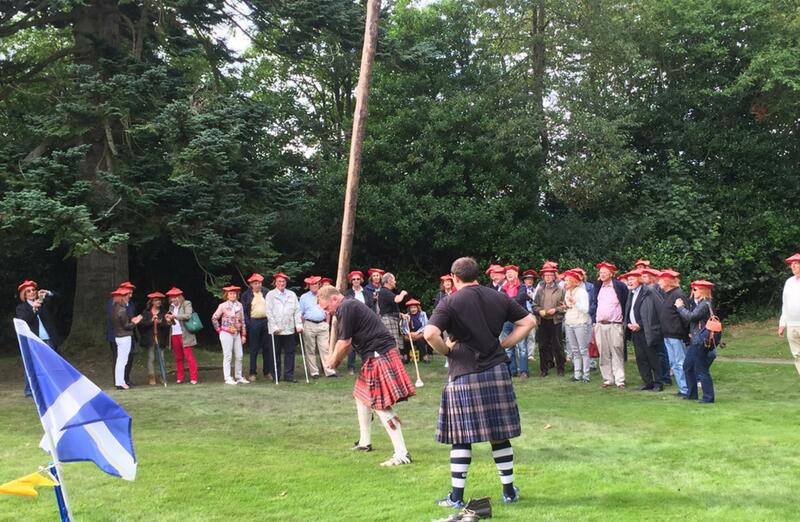 On Sunday the 28th of August 2016, Team Challenge Company had the pleasure of providing a traditional Scottish Highland Games event for the reunion of the class of 1970 graduates from the Paris Business School. 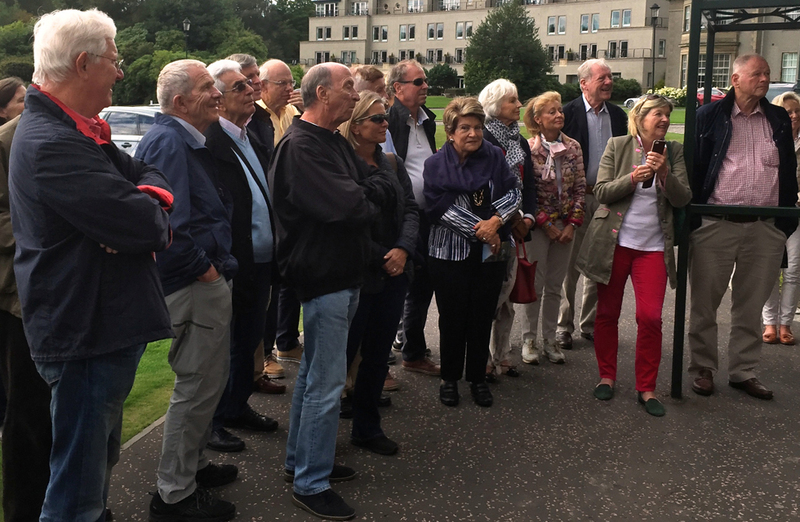 The guests were firstly checked in to the beautiful Gleneagles Resort Hotel. 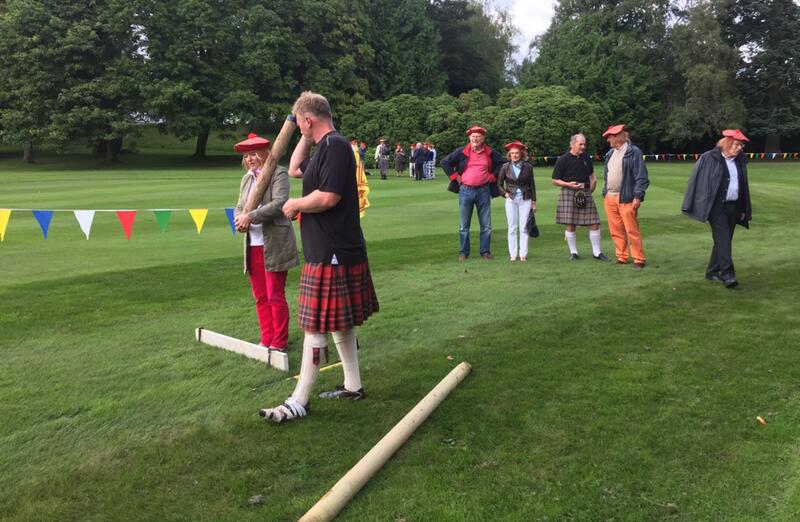 Afterwards, they were met at the front door of the resort by their piper who proceeded them through the fantastic gardens and down towards the Highland Games event field. 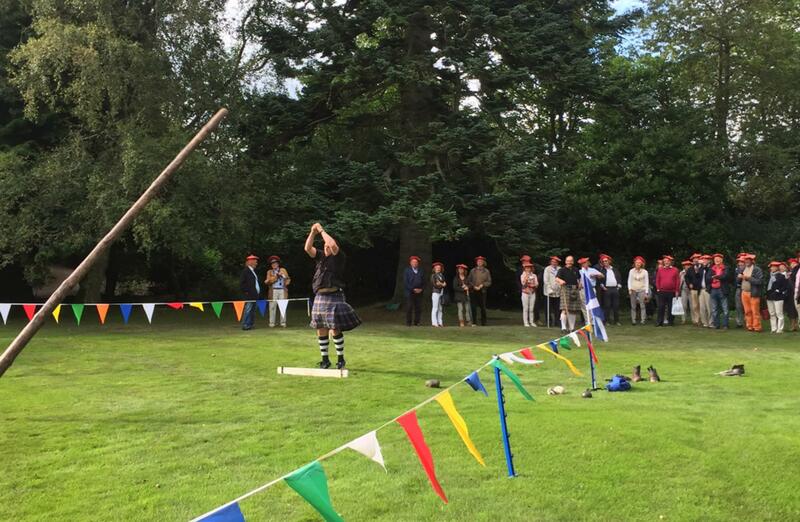 There met by our heavies and knowledgeable historian of the highland games, the guests were given demonstrations of the stone put, caber toss, hammer throw, and weight throw whilst learning the history of each. 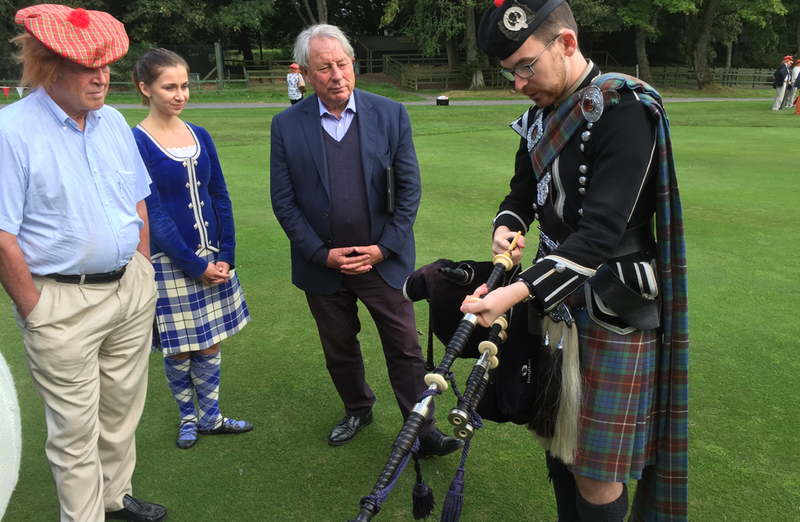 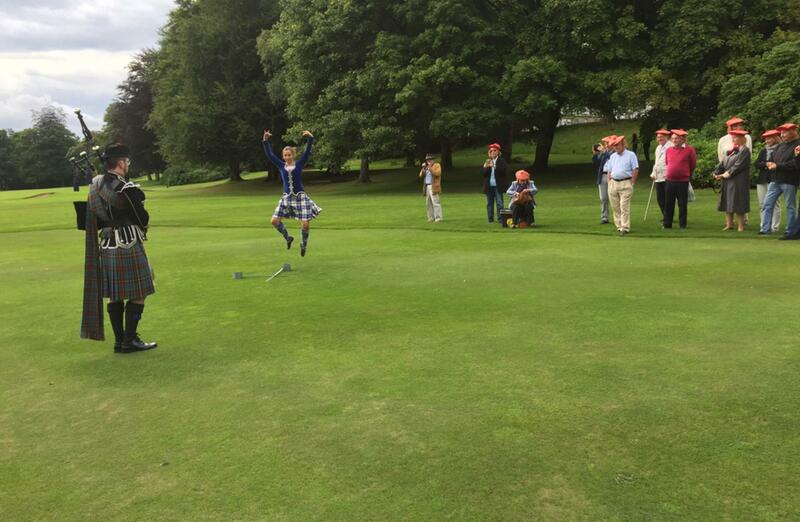 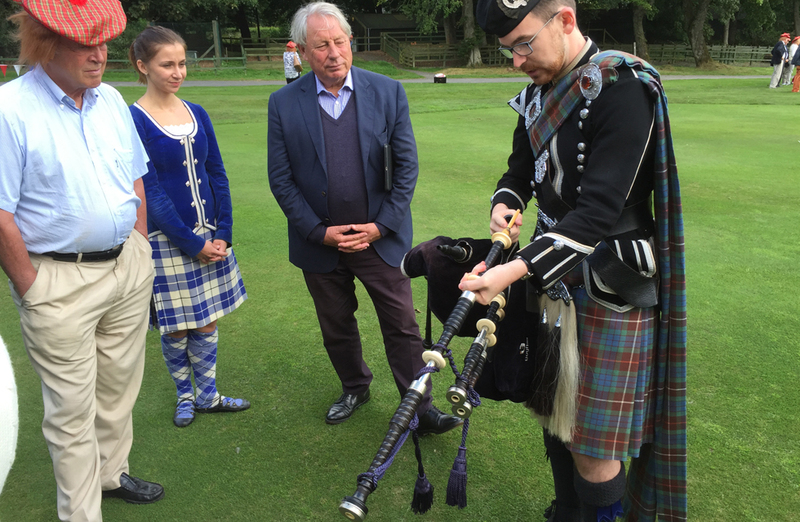 The guests were then taken to enjoy some traditional Scottish dancing in the form of the sword dance, accompanied by our piper. Once everyone was shown and taught the history and rules of the sports the group was then split into three separate teams so that they could have a more in-depth experience of each of the highland games events including the Scottish dancing. 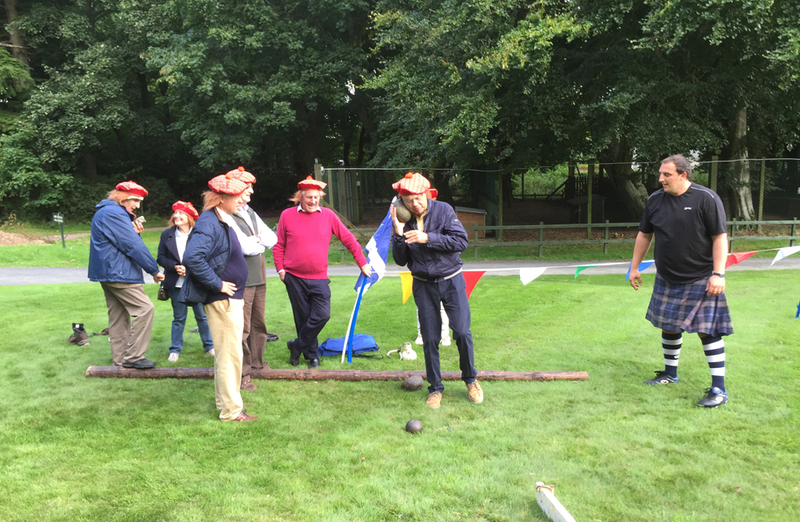 The teams were invited to try out any of the activities and have the opportunity to ask any questions and queries they had on the sports. 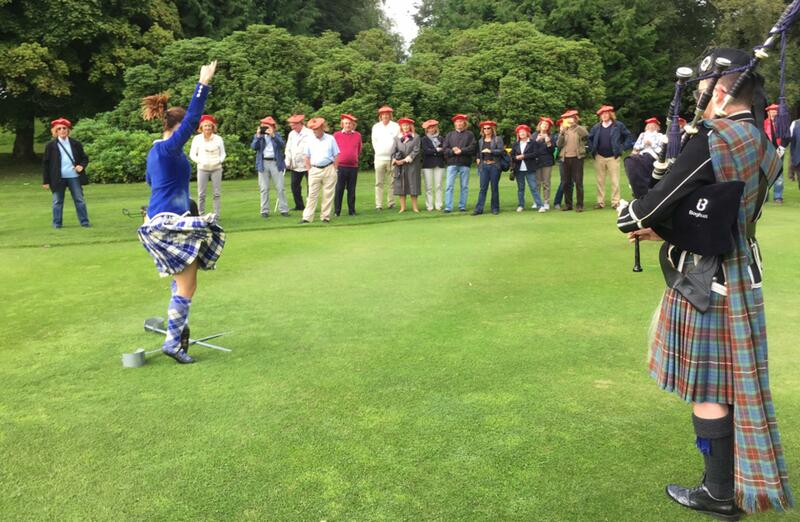 After everyone had their turn at a shot of the games, the group was then re-led back up to the hotel resort by our piper. 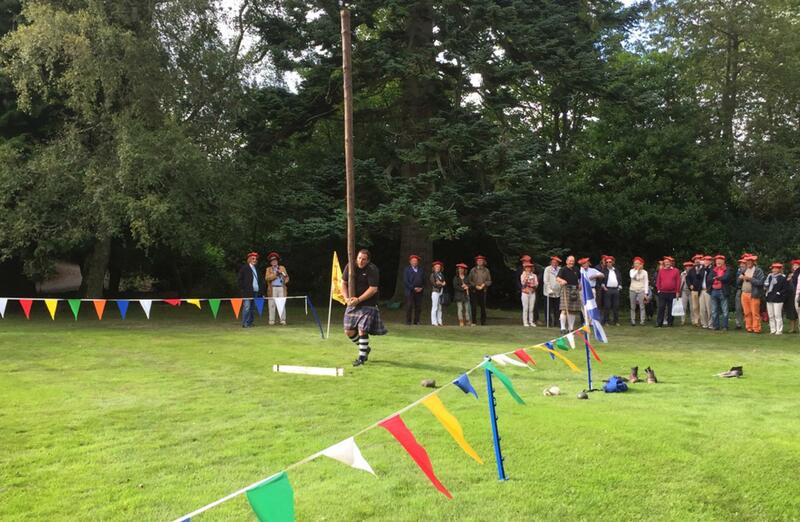 An excellent day was had by all and Team Challenge Company would like to take this opportunity to thank Sir Timothy Noble and all of his graduation friends for the effort they showed throughout the day. 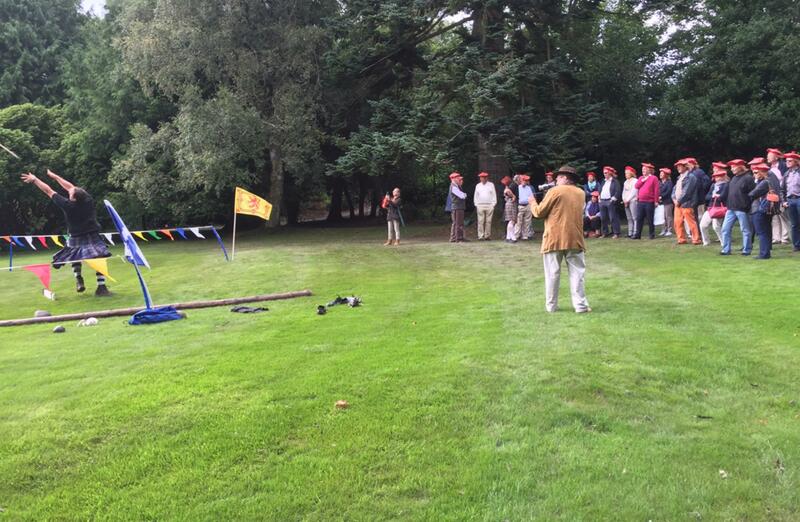 Everyone tried a sport to the best of their ability and gave full attention to the historian. 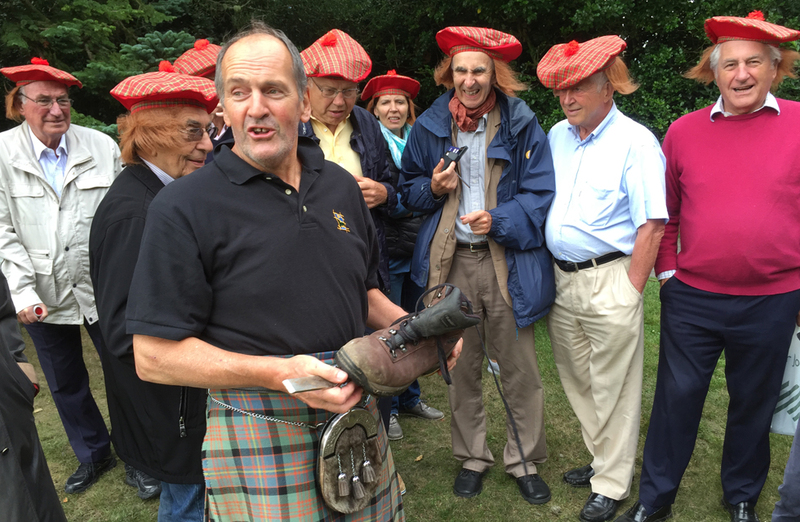 The group felt as though they learned a thing or two throughout the day and it was an incredible success overall. 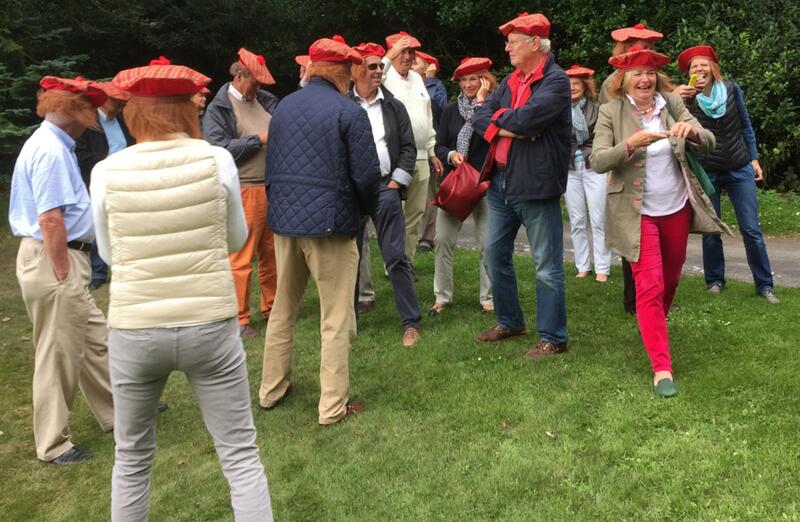 Team Challenge Company hopes that they can be of assistance at the next reunion of the Paris Business School class of 1970 gradation reunion.